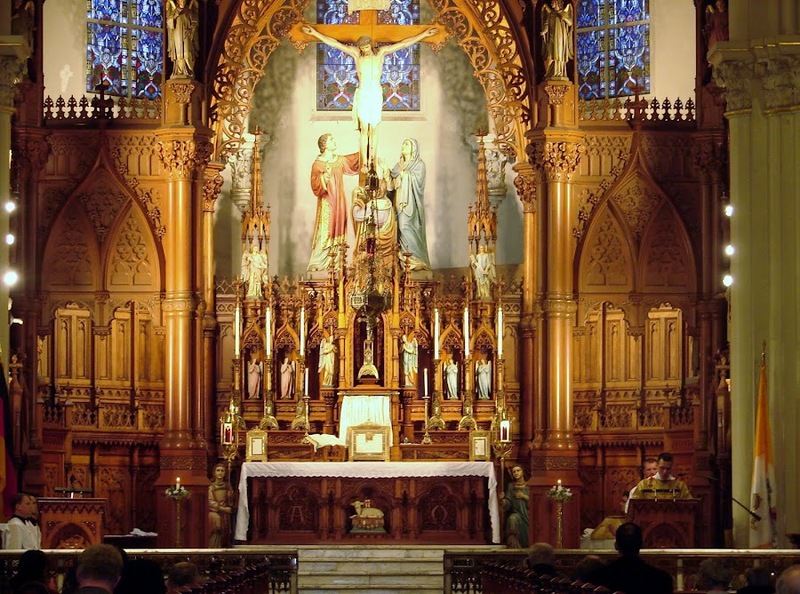 Immaculate Conception, Cleveland, will offer a Solemn High Requiem Mass on Tuesday at 6:30pm in remembrance of the victims of the 9/11 tragedy. And, should you not be able to make it to the evening Mass, there is the regular Tuesday morning 7am low Mass at St. Stephen. For the Feast of the Exaltation of the Holy Cross, St. Stephen will offer Solemn Mass at 6:30pm. Please take the opportunity to celebrate this wonderful feast. We found this on Fr. Z's blog. Etymologically, it is related to basileios, the Greek word for king.